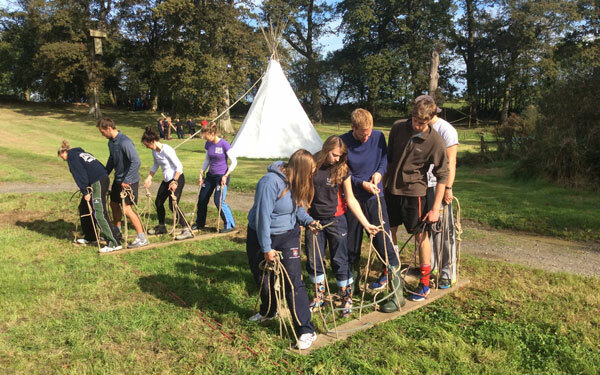 The courses operated by Encompass Training are designed to provide adventurous experiences which require a mixture of physical, mental and social skills. Opportunities will arise to work not only as an individual, but also as a team, on tasks and activities which are challenging, stimulating and enjoyable. 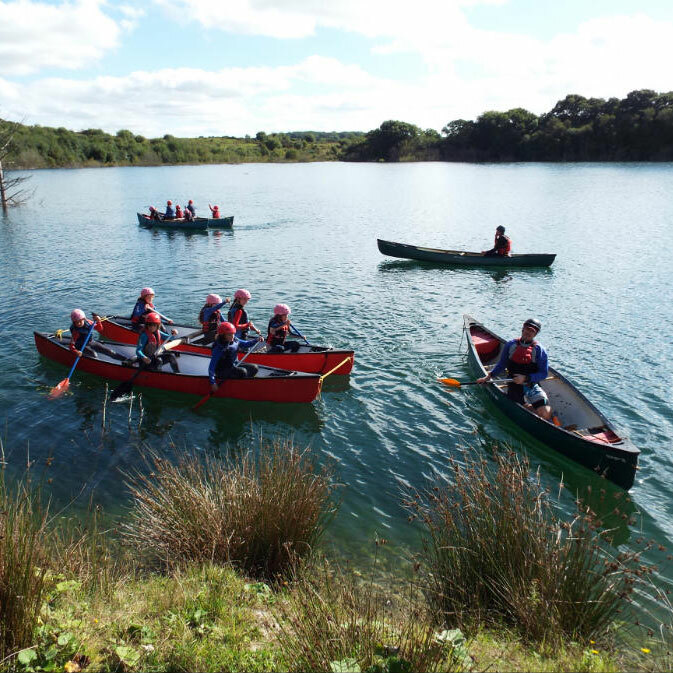 But remember – the time spent at Great Potheridge is neither an activity holiday nor an endurance test, but a life skills course – a real learning experience, combining decision making, communication skills and responsibility with excitement, adventure and fun! A programme will be designed for you based on your group’s abilities and needs. No team member has to be super fit or a good swimmer and this ensures everyone gets a boost to their confidence, feels involved and enjoys being part of the group experience. Using our unique system which involves every member of the group, the ground team haul the abseiler up to our platform set in an ancient Potheridge oak tree, who then abseils back down to terra firma. 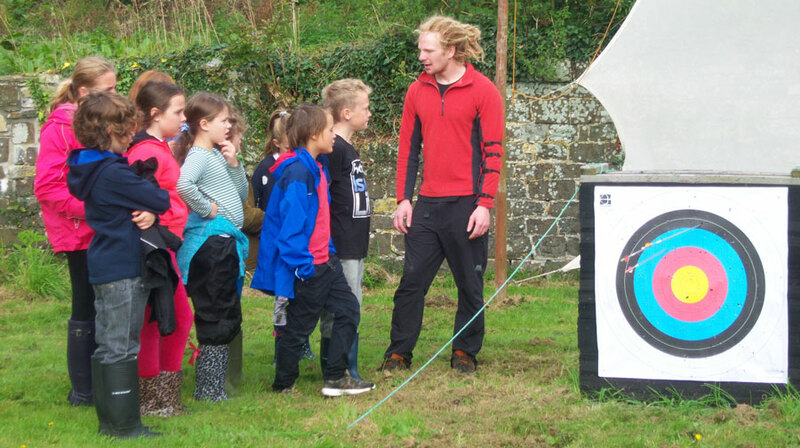 This is a great activity which, unlike so many abseils, involves everyone having a role. 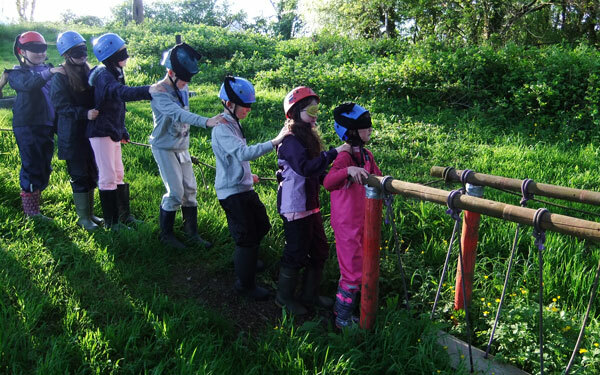 We offer team problem-solving tasks designed to get everyone pulling the same way, like The Spider’s Web, dealing with toxic waste and crossing areas with planks and skis! Tasks are reviewed and the learning is transferred to the next challenge. Such tasks are often done at the start of the course to break down barriers and promote a healthy culture of evaluation and learning. 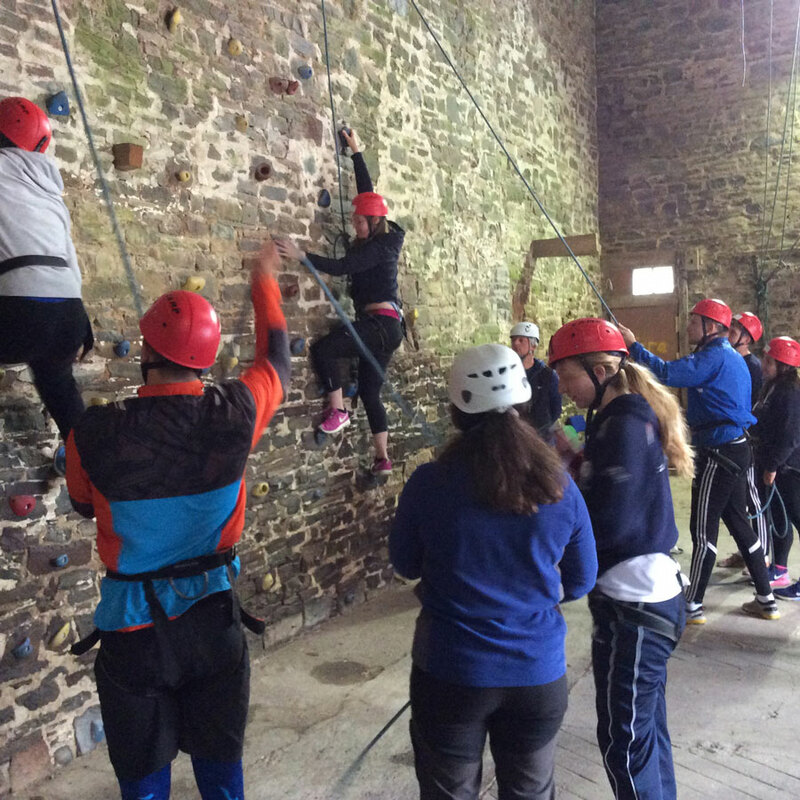 Our climbing wall is situated inside our 350 year old Great Barn. It has two main routes and several options. 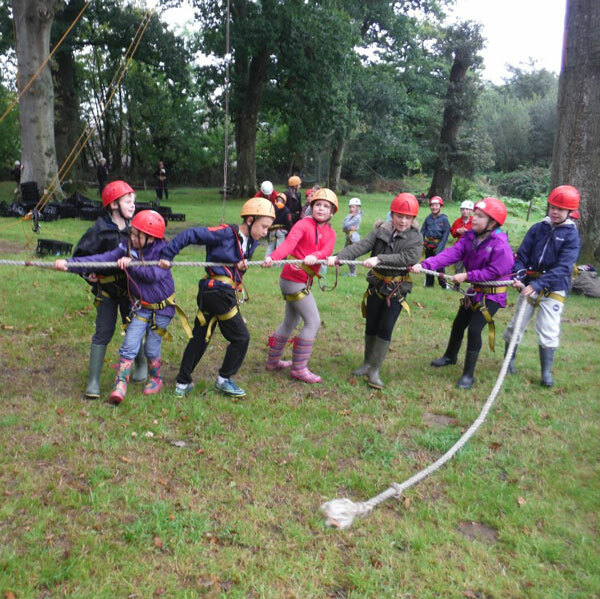 We will normally get all the group involved with the belaying of the ropes as well as climbing as high (or low!) as possible. This activity works on trust and team work as much as personal challenge. It is also suitable for bouldering. We normally run this on the front lawn, next to the ruins of our Sir Christopher Wren chapel. Test your skills and your aim under the experienced coaching of one of our instructors. Archery is a very rewarding and accessible activity for all. We also offer field archery – shooting arrows great distances as our forebears did at Agincourt. 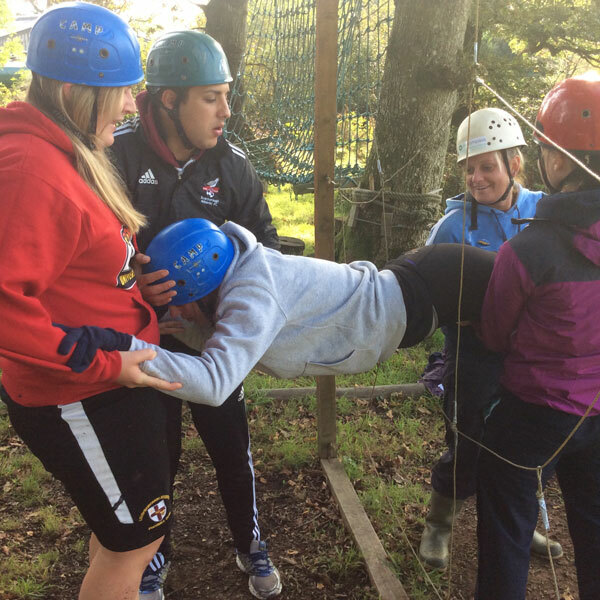 Working together, guide yourselves around a rope trail while blindfolded. This task requires much communication and trust! Learn how to use a map and then test your new skills in the safety of our grounds. For more advanced groups, we offer access to a local orienteering course . Navigate a series of aerial challenges 50cm off the ground. Great for developing team work and confidence. 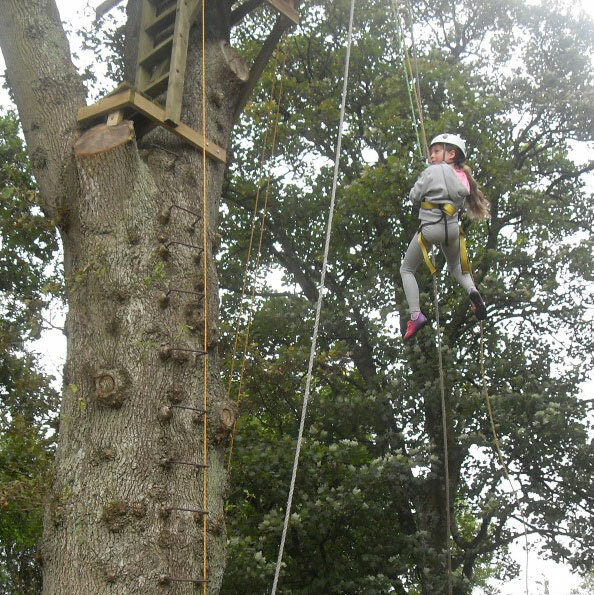 A high ropes element, relying on team work, trust and personal challenge. 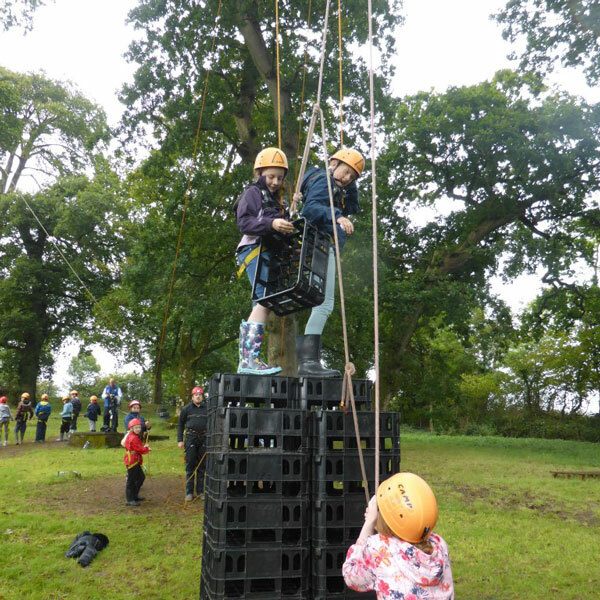 As your team belays you and a friend, build a tower of crates as high as possible – with yourselves on top of it! In small teams, design and build (with the limited materials supplied) a vessel that will enable your team’s egg to be dropped from a great height and survive unscrambled! The final drop is normally done on departure morning. Normally done on the first night of a course, this is an excellent introduction to many of the key aims we promote on our courses. The children walk in small groups, unaccompanied along the Tarka Cycle Trail. This dramatically demonstrates to them that we’re handing over responsibility and trust but within a very structured and safe environment. We check-point the children at key locations and sweep through behind the last group. Simply walking through the North Devon countryside in the dusk proves to be a real challenge, with the added benefit of maybe seeing a badger, deer or fox or hearing an owl. 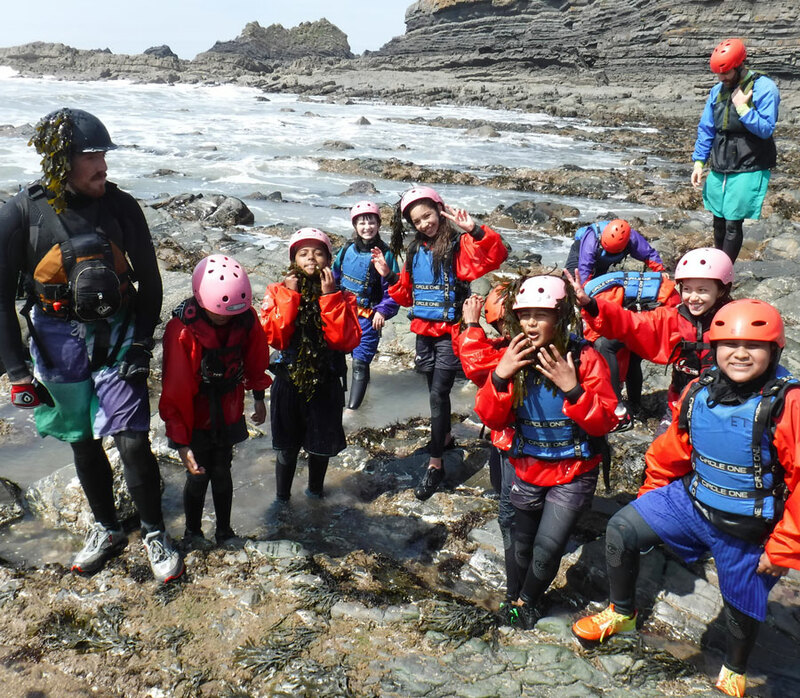 With the dramatic backdrop of Hartland, this activity is tailored to the group’s ability and the weather conditions, and involves moving along the rocky foreshore, jumping in large rock pools and paddling through the sea. En route, we may see the remains of a Victorian steam ship wrecked here, along with many hundreds of other vessels throughout history. Everyone is kitted up with wetsuits, buoyancy aids and helmets. This activity is tide and weather-dependent. 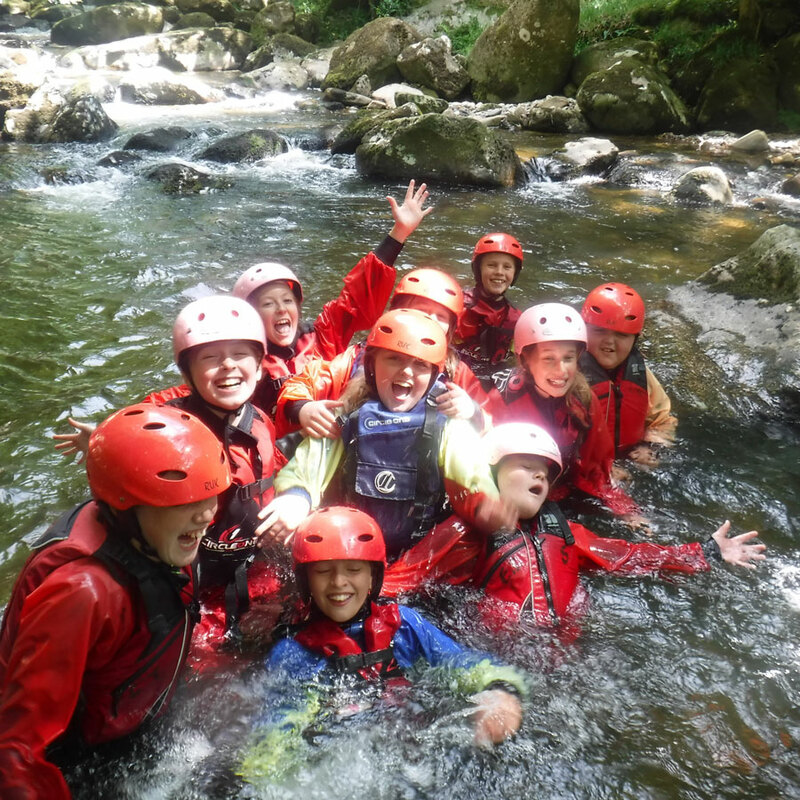 Using the waterways on Dartmoor, we journey up the river, through small waterfalls, water slides and over boulders. 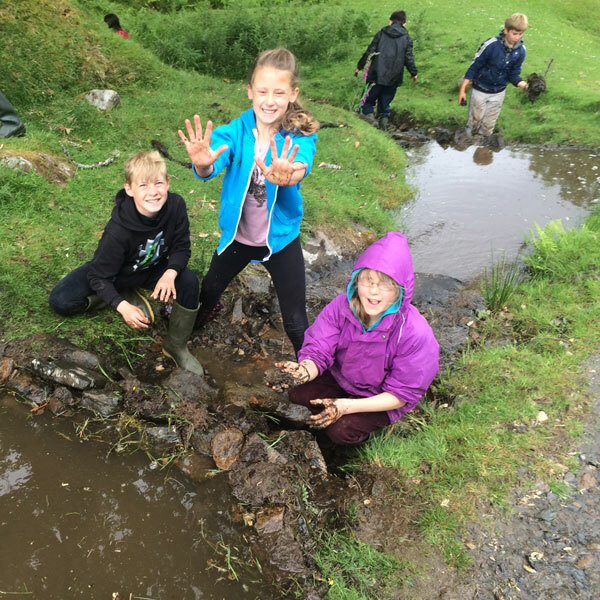 This activity truly gets you submerged in the beauty and power of one of our most stunning national parks, and involves working as a team whilst improving water confidence and awareness. 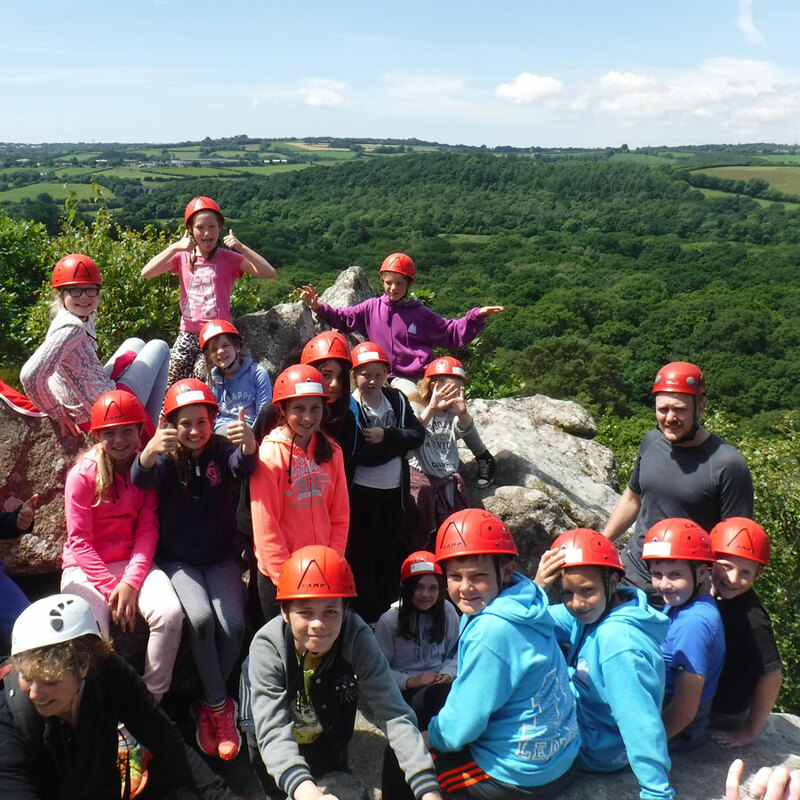 Using Dartmoor or Bodmin Moor, we spend a day doing some or all of the following; climbing, abseiling, scrambling and weaselling. Scrambling is moving together over easier rocky ground – a cross between walking and easy climbing. This requires teamwork, developing confidence and judgement. Weaselling is moving over and under boulders and rocks. This is good for building up confidence and learning to help others. Moorland Day can also be done in conjunction with gorge scrambling. 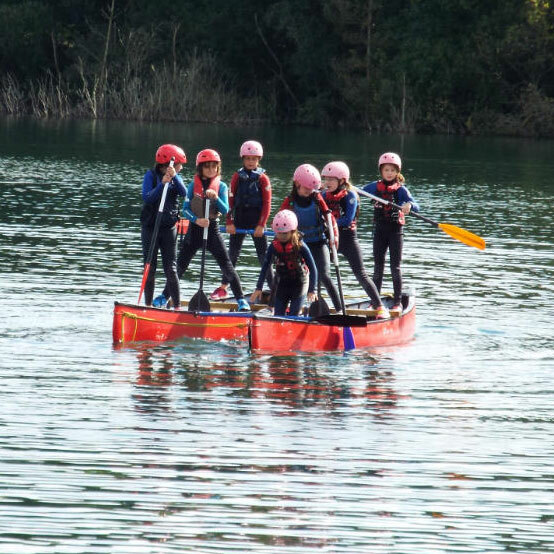 With sole use of a large lake within Devon Wildlife Trust’s flagship nature reserve, we’re able to offer an amazing venue for raft building, canoeing and kayaking. Operating from a safe and beautiful location, we also have access to a compound for storage and changing. 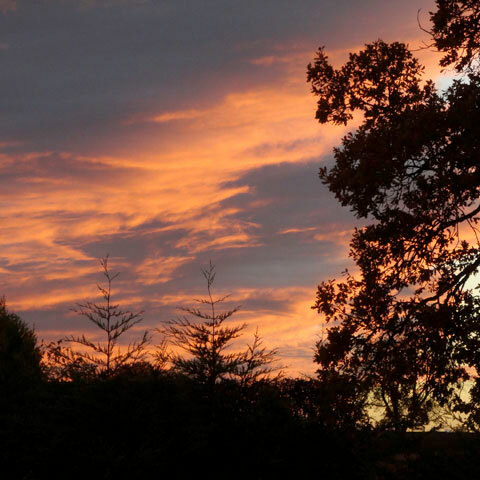 Using our stunning surroundings we walk down to the fields and woodland adjacent to our centre. This is about 1.5 miles away, via farm tracks. The location is near the River Torridge and remote from any roads, civilisation or the public! Build your own shelters under our guidance (we supply sleeping bags and roll mats). 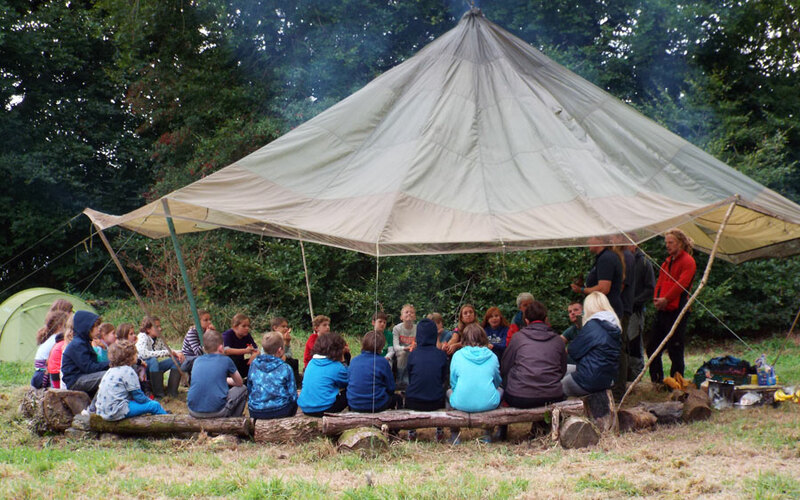 Collect wood, light fires, cook dinner and learn skills such as using a knife, cooking, and knot tying. Later in the evening, there may be an opportunity for some star gazing. In the morning, enjoy a bacon and egg buttie cooked on the fire by us, before clearing away and heading back to the centre. 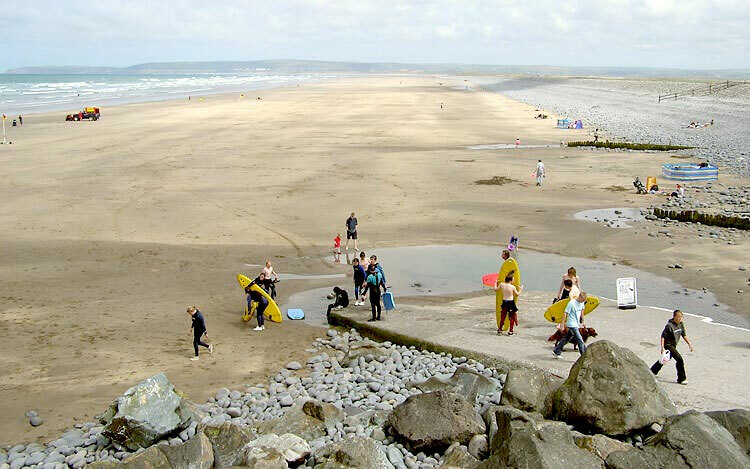 We head to the huge beach at Westward Ho! for a walk along the sand dunes and beach itself. We then have a sand castle building competition which always proves to be very popular. There is even a chance for an ice cream, too! This can be a half day or evening activity. Using the edge of Dartmoor we explore the wildlife, natural surroundings and man’s influence on the area. We walk over the huge dam at Meldon and the massive Victorian railway viaduct. There may even be a chance to build our very own dams in the streams in the area. 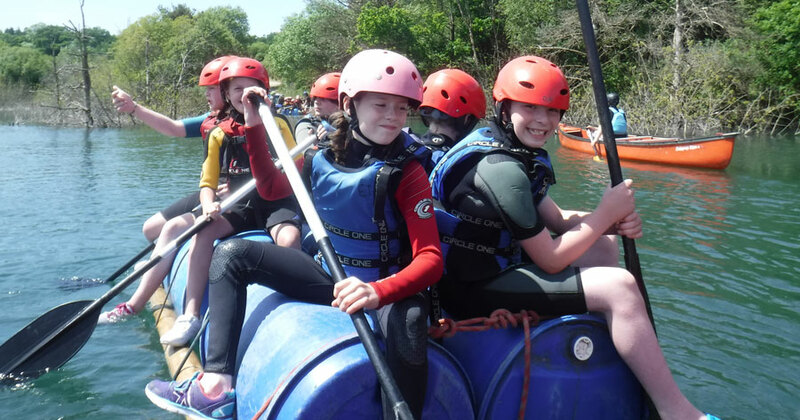 Using the River Torridge, we undertake a canoe journey along the river which was home to Tarka the Otter. And the magic ingredient is . . .
… the Encompass Training team! 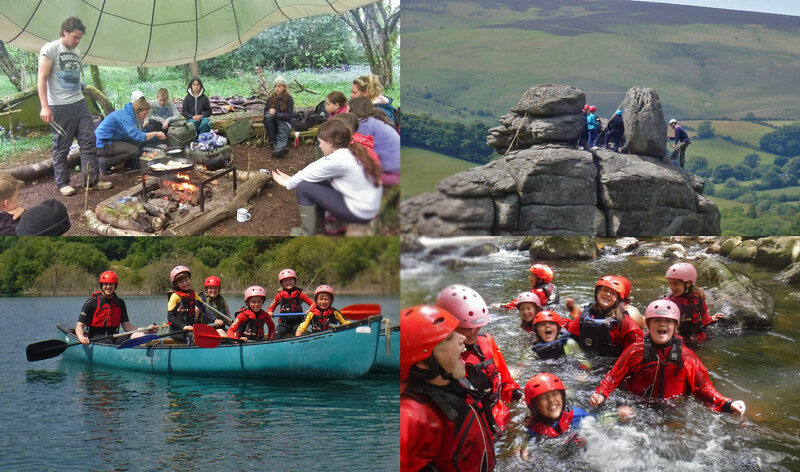 The thing that makes the outdoor education experience we offer so fantastic is our staff – we have decades of combined experience and bags of enthusiasm!